​ Peter Maleitzke is a nationally recognized singing teacher. 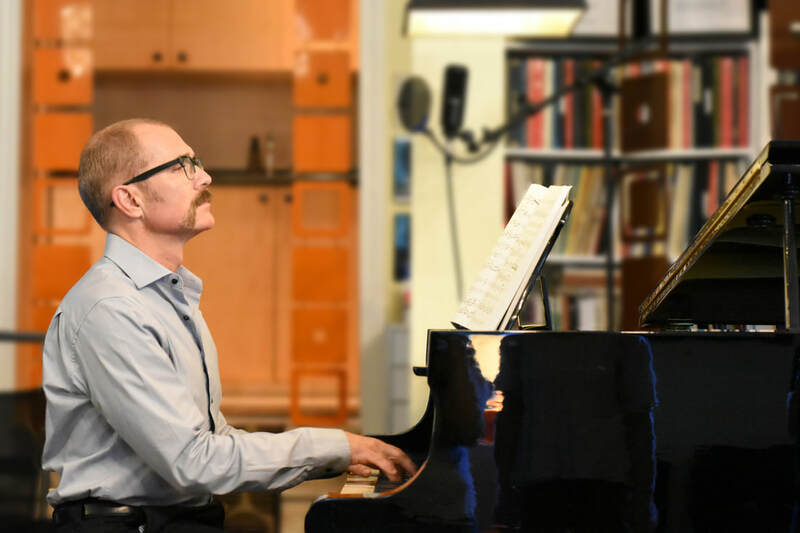 His students include Tony Award winners, Broadway and national tour performers, principals in international opera houses and international pop sensations, and cabaret and recording artists. In 2007 alone, Maleitzke’s studio was represented by actors starring and singing in three major release motion pictures. His students have also been frequent competition finalists and are regularly accepted into prestigious music festivals and training programs. ​ At ACT he was composer for The Gamester, which won the Bay Area Theater Critics Circle Award for Best Original Score. He worked as Music Director for the first workshop of Far From The Madding Crowd, directed a cabaret production of Pippin, and was the arranger and composer for The Three Sisters. ​ He also worked as Associate Music Director of Urinetown (First National), Music Director for Carey Perloff's The Colossus of Rhodes, Brecht’s and Weill’s Happy End (featuring Betty Buckley), and the Gershwin's Of Thee I Sing (performed in three cities to sold out houses), world-premiere A.C.T. productions of The Difficulty of Crossing a Field (featuring Julia Migenes and Kronos String Quartet), Marc Blitzstein's No for an Answer, A.C.T. 's The Threepenny Opera featuring Bebe Neuworth, Nancy Dusault, Lisa Vroman and Anika Noni Rose. He won the Bay Area Theatre Critics' Circle Award and Back Stage West Garland Award for this production. Maleitzke worked on and performed in the San Francisco Symphony's televised performance of Sondheim's Sweeney Todd. Andrea Baker, Peter Maleitzke in Sing Sistah! Sing! In addition to teaching, Mr. Maleitzke is a vocal coach, recording pianist and producer for many of the major networks and studios in Los Angeles, most notably with Laura Karpman on the series Taken, whose executive producer was Steven Spielberg. Recent studio projects include producing, arranging, and performing on a CD, Invitation To Dream, available on iTunes and Amazon. He began working with Tan Jing, one of China’s most successful and respected singers, to begin developing and recording material for international audiences. ​ In previous years, Maleitzke helped to develop Rivets, a new musical about World War II home front soldiers in the Bay Area. He taught “Art Song and Acting” at the San Francisco Conservatory of Music, and he was Music Director of a pre-Broadway workshop of The Geeks (Retitled “In The Beginning”). These projects overlapped with his work as Musical Director of the first San Francisco performances of Adam Guettel’s Myths and Hymns and the completion of an eleven-year residence at the American Conservatory Theater as Associate Artist, Music Director and Master Singing Teacher in ACT’s acclaimed M.F.A. actor training program. Maleitzke has bachelors and masters degrees from the University of Michigan, where his principal instructors were Leon Fleischer and Martin Katz. He was musical assistant to Michael Tilson Thomas, and conductor of the Tuscan Music Festival. ​Mr. Maleitzke studied Bel Canto Technique and Vocal Pedagogy with Dixon Titus in San Francisco. ​and writing his first book, Acting and Singing in the 21st Century, as well as several recording and performance projects.